Below is a list of top 10 e-learning platforms in Africa. All unique but all working towards the same goal: using e-learning to promote the development of the continent’s education infrastructure. 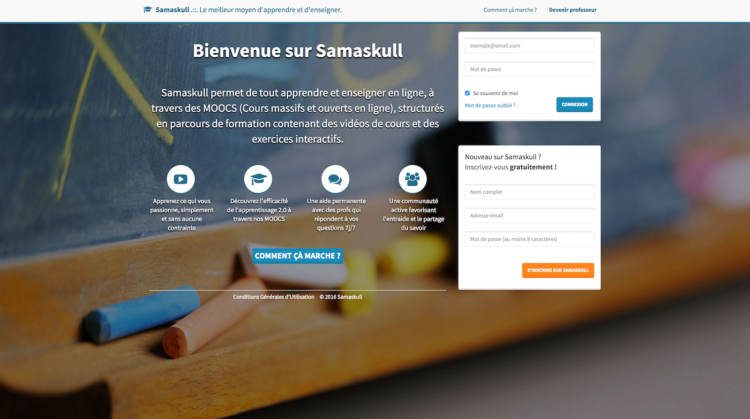 Samaskull is a Senegalese e-learning platform where users can access a database of unlimited educational materials. ‘Made by Africans, for Africans’, Samaskull provides interactive Massive Open Online Courses (MOOCs) and Small Private Online Courses (SPOCs) for those who prefer one-on-one private lessons. Samaskull, a new kind of Coursera but ‘Made in Senegal’ prides itself on being an innovative and open platform to enable Africans to take full control of their future. OkpaBac, literally translates to ‘You are done with the Baccalaureate’. It is the newest mobile app featured in this article. 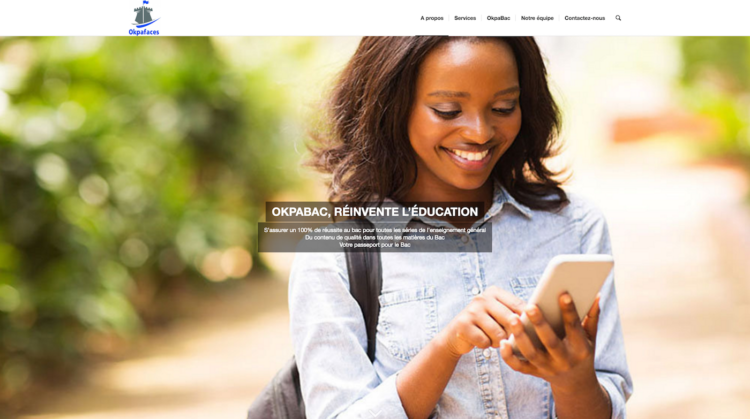 Founded in January 2016 by the Togolese startup OkpaFaces, OkpaBac is a platform that delivers to high-school students tremendous educational resources to prepare for the Baccalaureate exams. The tests are crucial as it determines university admission for thousands of students in Togo, and across the western Francophone coast of Africa. The mobile app contains summaries of lessons, sample examinations from previous years, quizzes to test knowledge in order to better prepare students for the exam. At the moment the app is only available for Android devices but the founding team plans to scale and make it compatible with other operating systems. 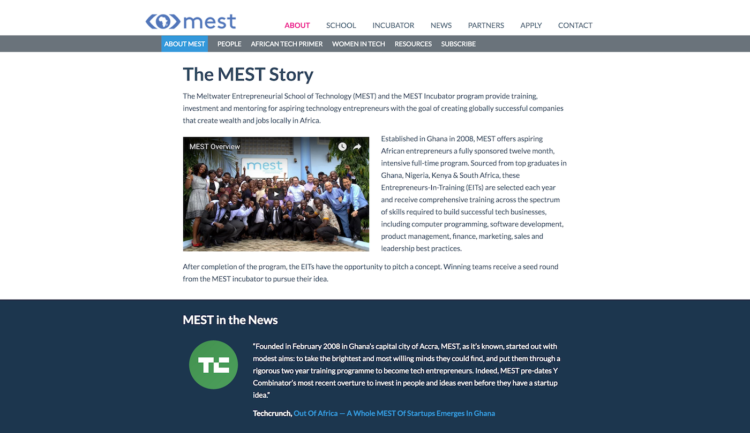 Founded in 2008, in Accra, Ghana, the Meltwater Entrepreneurial School of Technology (MEST) provides training, investment and mentoring for the next generation of tech entrepreneurs who will create market tools needed for the integration of Africa in the global economy. Aspiring entrepreneurs receive a fully sponsored 12-month programme designed to teach them how to build tech businesses. The courses include computer programming, software development, product management, finance, marketing, sales and leadership. 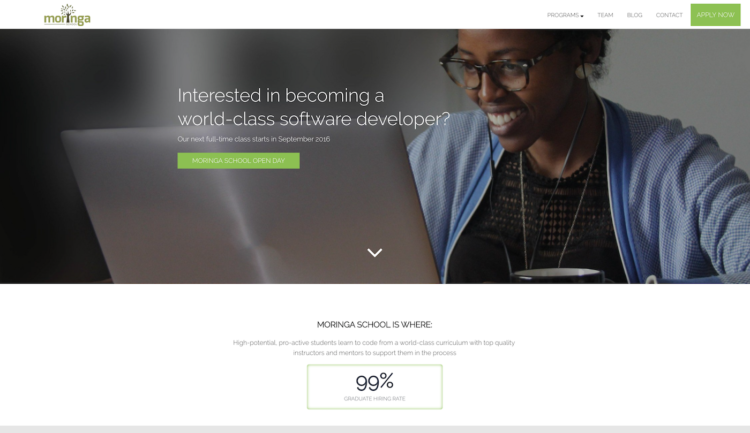 Praised as Africa’s top coding school, Moringa School is a full-time, immersive coding school in Nairobi, Kenya. After a selective admission process, 12 students out of around 200 applicants are selected to undergo a four-month intense boot-camp training to become the next generation of ‘techies’. Since its creation in 2014, 100 students have already graduated and, among those, 59 per cent have reported a salary increase after the code course, averaging USD$23,000 annually. 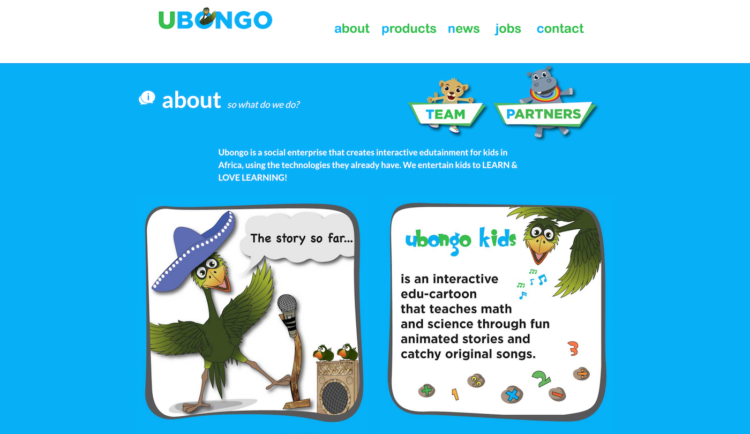 Ubongo, a Tanzanian social enterprise creates interactive edutainment for young learners in Africa, delivered via existing technologies. The main product, Ubongo Kids, is an educational cartoon broadcast daily on Tanzanian national TV that incites primary school kids to ‘tumia ubongo’ (to use your brain in Swahili) by teaching them math and sciences through animated stories and original songs. The children can use basic mobile phones to answer multiple-choice questions via SMS and they receive feedback from their favourite cartoon characters. Ubongo’s mission is to inspire the next generation of digital learners and thinkers and the model has already proven successful. Nine months following the official launch in 2014, Ubongo Kids reached 6 per cent of all households in Tanzania, with viewerships in one out of four homes with a working TV. Additionally, a survey showed that students who watched the show once a month for six months had significantly better numeracy score than classmates who watched an alternative non-educational cartoon. Who knew math and science subjects could be taught in such a fun and cute fashion at the same time? 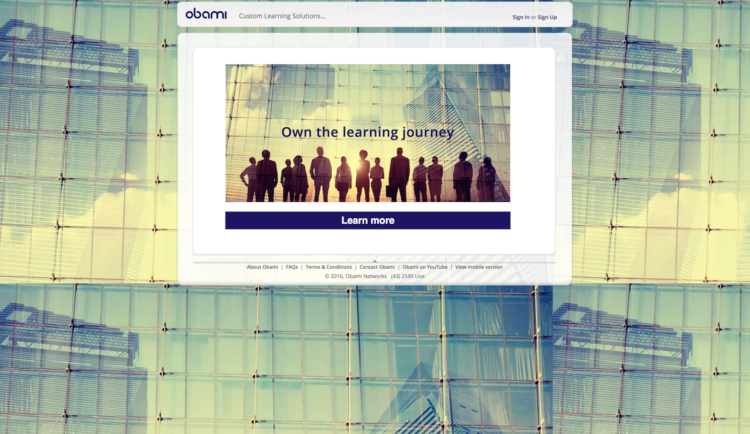 Obami is a free to use social learning platform from South Africa, that helps connect everyone in the learning space. Students can make a profile and connect with people from around the world, get news from schools, and submit school works. It works very much like a social media with a heavier focus on education. In 2014, the startup launched a mobile app, Obami Tutor that focuses on private tutoring to help South Africa-based students. The platform connects learners on their mobile phones to real-life qualified tutors. Obami Tutor revolutionizes the traditional model of private tutoring, by bringing quality and affordable tuition to any learner anywhere in South Africa. Tutor.ng is an online platform whose mission is to connect learners and teachers from all over the world. Tutors come in various forms: they can be learners themselves, university affiliates or test preparation companies. The idea is to promote knowledge sharing across borders. It enables learners to build basic academic skills such as reading, spelling, history, science, creative arts as well as non-academic skills such as cooking or make-up tutorials. 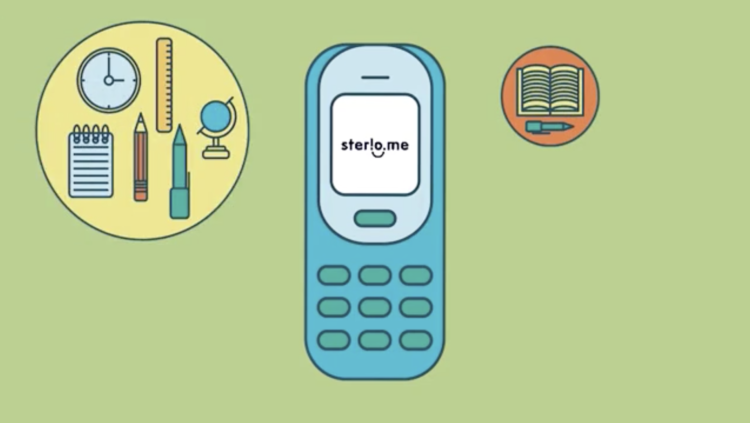 Sterio.me is a Nigerian startup that provides a service using SMS to give students access to material and lessons they listen to outside the classroom. In a nutshell, teachers pre-record lectures, quizzes and questions and send them as for free by using a specific SMS code. Educators are notified when students have finished the lessons and receive their students’ respective performance. It saves them grading time, and they can provide immediate feedback to the students who ask for it. Sterio.me does not require internet access and can be accessed through any basic phone. 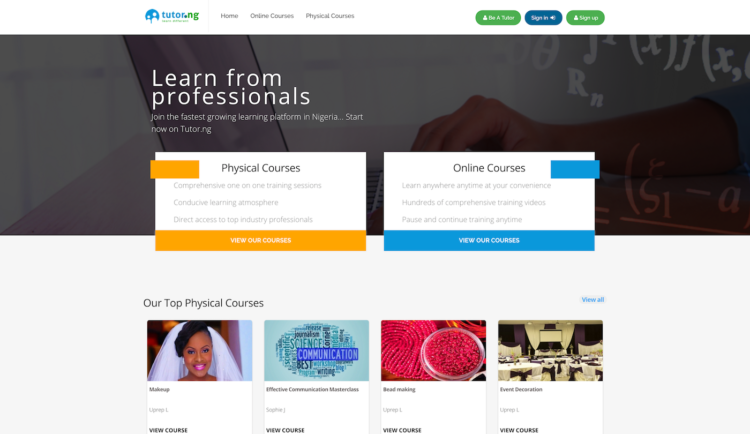 In 2014, Sterio.me announced a strategic partnership with Tutor.ng in launching a full-stack mobile learning experience across Nigeria. It includes the SMS and voice-based mobile education services of Sterio.me and e-learning via the mobile web, Tutor.ng platform. All in all, the alliance represents the ultimate synergy between m-learning and e-learning! Founded in 2013, this Cape-Town based startup has rapidly positioned itself as a leader in adaptive learning. Daptio uses artificial intelligence to help students, mentors and teachers to understand the proficiency level of each student. The goal is to find a model that allows students to receive the right content, leading to a more tailored education and higher grades. 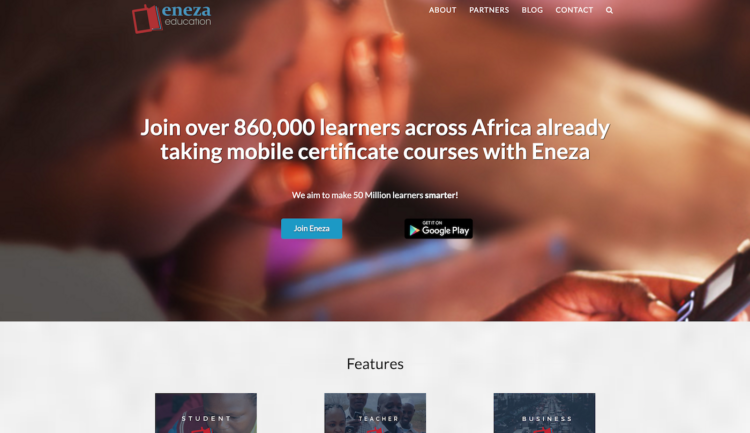 Eneza, ‘to reach’ in Swahili, is the educational platform that acts as a virtual tutor and teacher’s assistant for thousands of Kenya-based students. Eneza’s model is to partner with schools in Kenya to track and assess students’ knowledge using the country’s most common form of technology: the mobile phone. Students access educational quizzes, a live ‘Ask-a-Teacher’ feature, offline access to Wikipedia, a dictionary and other learning materials via SMS. The platform is specifically geared towards Kenyan primary students in the upper primary grades as they prepare for the test (KCPE) crucial for their entry to secondary school. Using the high-quality content platform, students are able to hone and test their knowledge.